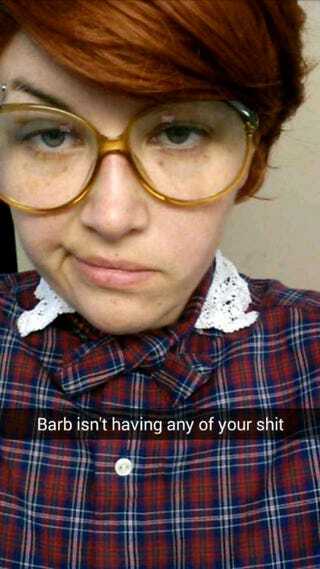 Can’t believe it’s taken this long to see some Barb cosplay. Can’t believe it’s taken this long to see some Barb cosplay. Maybe everyone had to wait until the next time they were at their Nan’s place to steal her glasses.